Originally announced back in August, The Waylanders is described as a time-travelling fantasy RPG inspired by games such as Dragon Age and Neverwinter Nights 2. It is one of my much-anticipated titles (despite my terrible fear of time travel), and I'm thrilled to see that it has launched a crowdfunding campaign on Kickstarter. The Waylanders has a unique feature: it travels in time between two eras, Celtic and Medieval. Choices made in either period can have *cue eerie music* dire consequences in the other. That's right, the butterfly effect ripples both forwards and backwards in time in The Waylanders. Another intriguing feature in The Waylanders is the view: you can play from either a top-down isometric perspective or a third-person perspective, and can switch between either mid-game. The Waylanders is developed by Gato Salvaje Studio (in Spain, which seems very exotic to a Canadian like myself!) and promises to have high-profile names attached. Mike Laidlaw, former Bioware lead, is a creative consultant; there are also a few high-profile writers attached, but their involvement remains very hush-hush at the moment. 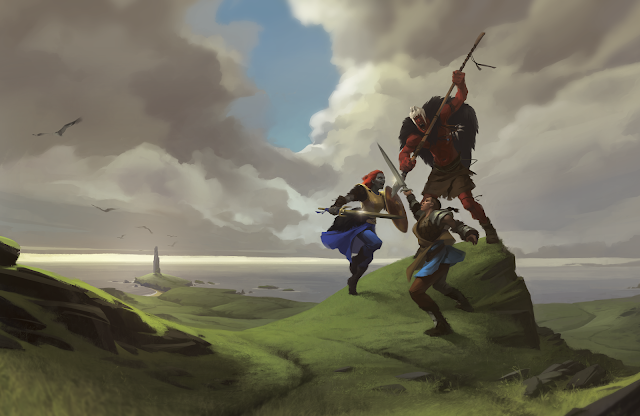 With an estimated release date in the first quarter of 2020, there's a long way to go before we actually get to lay our hands on The Waylanders, its unique dual-timed narrative, and hopefully impressive combat system. Until then, consider backing the game on Kickstarter!